You can tell it’s market day when you see the tall, red-clad Maasai wandering the streets of Nairobi. Surrounded by the cacophony of the city, their aristocratic slow stride keeps to a rural tempo – as if to send a signal to the rest of the world that there is no dignity in haste. 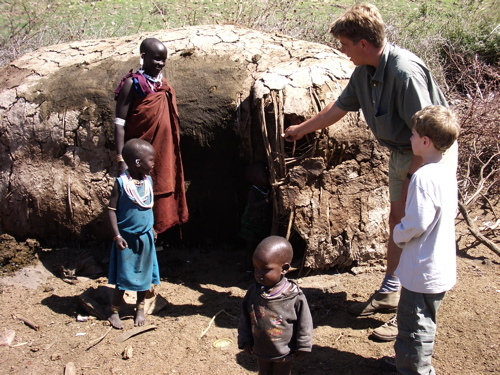 I had never met a Maasai before we leased a house in Nairobi. 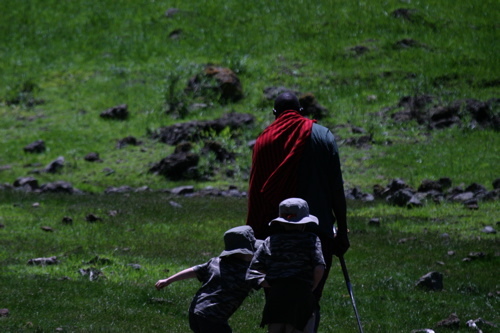 The owner recommended that we carry on with the existing Maasai askari (“soldiers,” or guards, in Swahili). We agreed to employ them even though surprised by how young they were – in their early twenties, kids, really. The question of a uniform posed a problem. Traditional dress was unacceptable; we were not a tourist camp. The standard guard’s uniform; too stiff. In the end, we decided to clothe them in black − black polo shirts, black trousers, black heavy boots – thereby underestimating the vanity of the Maasai. When our ‘men in black’ appeared for duty they appeared… fully adorned. Colorful beaded neckpieces caught in the folds of the black polo shirts, amulets hugged their arms and leather belts had been replaced by intricate beaded ones. They were stunning. There were more surprises: fierce loyalty to us and our friends. When a neighbor’s house was attacked by robbers in the early morning hours, our morans (warriors) jumped. Brandishing their roman-like spears and short wooden clubs called rungus, they fought bravely against the thieves who fled, terrified. Consequently, our neighbor, in gratitude and recompense, employed a Maasai to guard his property. Eventually, as news of the Maasai’s bravery circulated through the European community, more Maasai found jobs. Driving onto our property one day, we were taken aback by a freshly painted sign. It read: “Here! Maasai Guards Inc.”. For the Maasai, a semi-nomadic people, whose entire existence is centered on their livestock, this enterprising move towards establishing a small business represents boundless leaps through time and a complex traditional culture. The Maasai do not like yielding to the modern world – except for the cell phone. They are not interested in being weighed down by earthly possessions, only by their cattle, with which they share an almost spiritual bond. 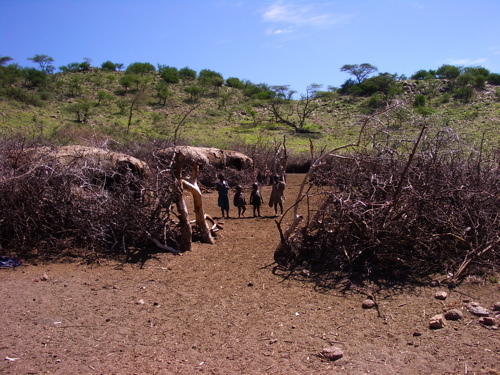 “I hope your cows are well!” is a familiar herder’s greeting in Maasailand as cattle cross paths kicking up the ochre dust of the plains. Cattle are sacred. 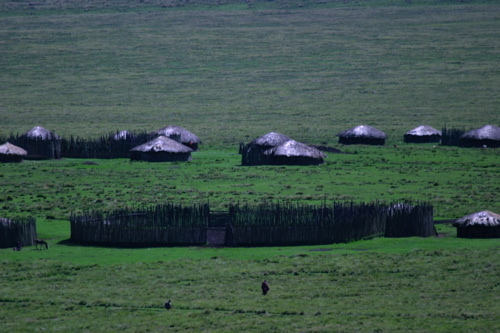 The Maasai believe that all the world’s cattle were entrusted to them by their god, Enkai. Until recently, any other occupation save herding would be an insult to their god. Cows are both symbols and providers. They are the measure of a man’s wealth and nourish the Maasai who live primarily on a diet of cow’s milk and blood. “Everyone falls in love with the Maasai,” quips a tour guide on the steps of the old Norfolk Hotel to a group of tourist wearing ridiculous safari hats. 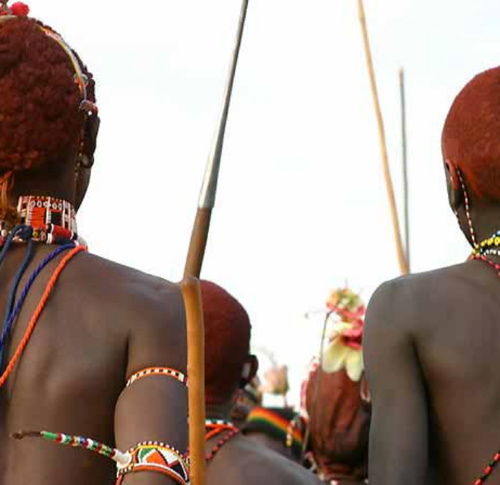 In truth, the Maasai, with their chiseled faces and dressed in full regalia, embody the romance of the African warrior. We have come to respect this proud, vanishing, egalitarian society. 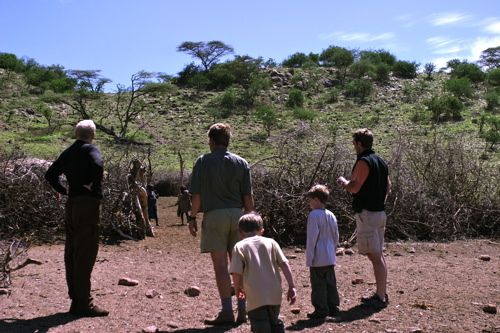 As protectors of wildlife and the ecosystem (one of the oldest ecosystems on earth) we are indebted. For hundreds of years the Maasai have lived peacefully alongside the migrating animals, serving as natural custodians of the Masai Mara and the Serengeti. But not all is well in Maasailand. The modern world encroaches. 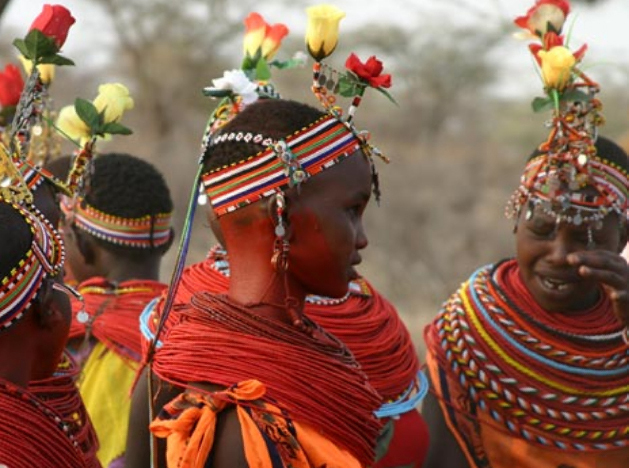 The future of the Maasai people and the wildlife they protect can be found in the winds of change sweeping across the treeless African savannah. Courtney first came to Kenya in 1989 to join her husband on one of several business trips to Nairobi. Taken with the Kenyan lifestyle and the untamed open spaces, she and her husband moved to Nairobi from Los Angeles in 1992. Courtney is a Food and Travel writer contributing to glossy magazines in East Africa and the United States. Born in México City, she has lived and worked in Madrid, Paris, New York and Los Angeles. From time to time she has considered relocating to other European cities but is irresistibly drawn back to Kenya, where she currently resides in Nairobi with an itinerant kite, a resident gecko and her husband.